Your clothing donations are helping to transform the lives of some of the world’s poorest most vulnerable people. Thanks to your generous support, we have raised millions of pounds, which has enabled us to support tens of thousands of people across the globe. You have helped to fund emergency responses in times of crisis, orphan programmes, life-saving water systems, sustainable livelihood solutions and many more. Here are just a few of the projects you have funded through your clothing donations. 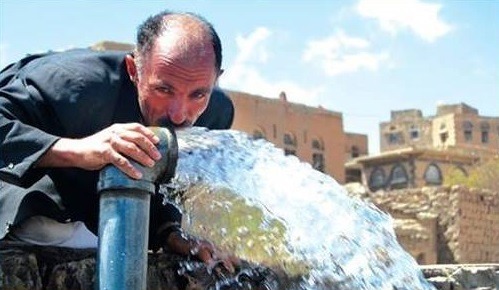 Yemen is one of the 10 most water-scarce countries in the world. Alhamdulillah, your old clothes have helped us bring safe water to communities across Sana’a in the capital. In 2014, money raised from clothes donations was allocated to water projects in Yemen where clean running water supplies were scarce. In areas with a lack of clean water, girls would often miss out on an education as they would instead spend each morning going to collect water for their families. Alhamdulillah, these girls – and the rest of the community – now have access to safe drinking water. The rainwater storage ponds and channels we built are providing locals with safe drinking water right on their very doorsteps. 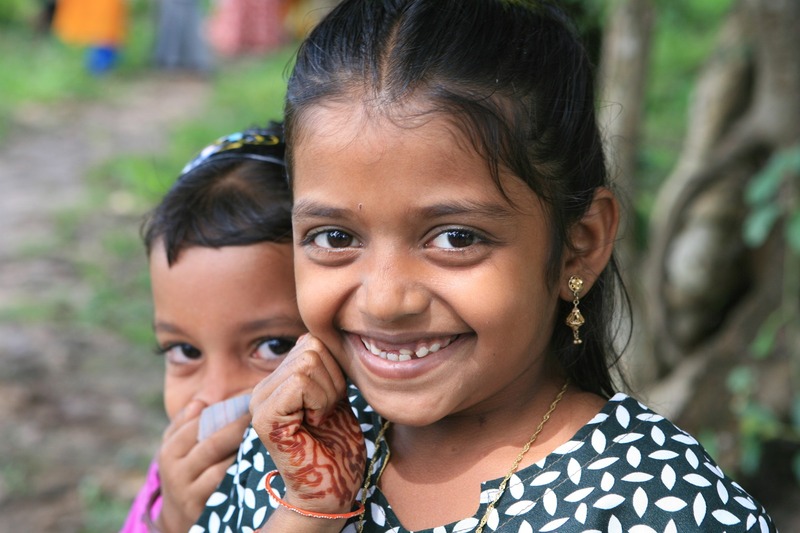 Girls can go to school, families have a supply of safe water free from water-borne diseases. We also provided locals with an income by employing Yemenis construct the water systems. This is all thanks to your old clothes! 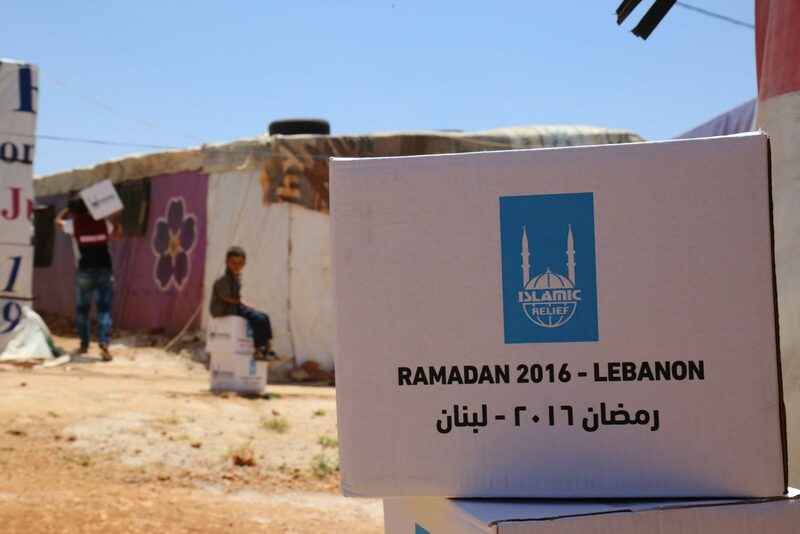 As part of our on-going operation in Lebanon, Islamic Relief provided crucial relief to families in crisis during Ramadan 2016. We distributed over 6,000 food packs to assist 33,335 people in need. One of the people in crisis you helped was Zakareya Ali, a Syrian refugee who left Syria in 2012. Before the crisis, Zakareya had a successful career and the family were safe, happy and healthy. Sadly this all changed after war broke out. After bombing intensified near his home in Raqqa, he left with his wife and 13 children and sought refuge in one of the refugee camps in Bekaa Valley. Alhamdulillah, your donations helped a family in crisis during an increasingly difficult period of their lives at such an important time in the Islamic calendar. Many rural communities across the developing world lack access to safe water and sanitation facilities. As a result, families are at risk of contracting water-borne diseases and infant mortality is often high. With locals’ health at risk, households are spending more on health care and growing increasingly food insecure. This is why your support is so crucial. Alhamdulillah, with money raised from your clothing donations, Islamic Relief built 12 wells across Indonesia, each equipped with a 2,500-litre water tank. Thanks to the wells, villagers no longer have to walk several miles a day to buy water and therefore, locals have more disposable income. One of the people you’ve helped is Munawarah and her daughter Warnima from East Lombok. The family are supported by the father who works in Malaysia, however the money they were receiving wasn’t enough receive to pay for Warnima’s schooling. At the end of each month, Munawarah would be forced to borrow from friends to cover the cost. However, thanks to the new wells in the village, Munawarah no longer needs to buy water and so can put the money towards her daughter’s education. Munawarah is also delighted that the villagers can now pray in congregation as the local masjid now has wudhu facilities. Your unwanted clothes can transform countless lives across the world. Why not have a clear out today and change someone’s life for the better? Find your nearest clothing bank or charity shop and donate today.